Step into spring with some new TOMS on your feet. 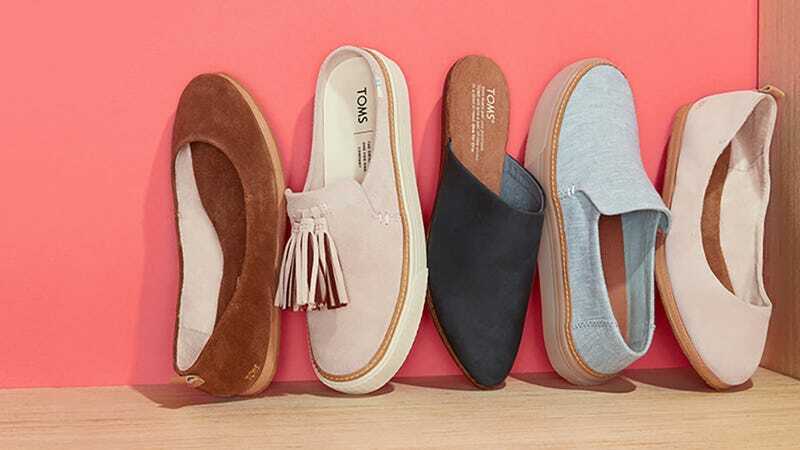 Right now, Nordstrom Rack is marking down TOMS for men, women, and kids, including slip-ons, flats, sneakers, boots, and more. There sure to be a style to suit your spring shoe needs, so shop now before it sells out.